If you want to understand the differences between China's many regional cuisines, look to its dumplings; the answers are hidden in how they're filled, wrapped, and cooked. Join Dumpling Galaxy owner Helen You and food writer Max Falkowitz in a conversation on dumplings and hometown Chinese pride. Helen will show you how to pleat a perfect xiao long bao before you taste them for yourself, and both Max and Helen will sign copies of their joint book, The Dumpling Galaxy Cookbook. Helen You is the chef and owner of Dumpling Galaxy and Tianjin Dumpling House in Flushing, Queens. She and her dumplings have been lauded by New York Magazine, Serious Eats, Eater, and the New York Times, which named Dumpling Galaxy a Critics' Pick and awarded it one star. She lives with her family in New York City. 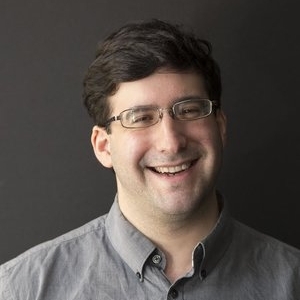 Queens native Max Falkowitz is a food and travel writer for The New York Times, Saveur, New York Magazine's Grubstreet, and elsewhere. You can find him at maxfalkowitz.nyc. From one of Eater‘s 38 best restaurants in America comes the ultimate Chinese cookbook with 60 dumping recipes and dim sum-like sides. New York Times critic Pete Wells calls Helen You “a kind of genius for creating miniature worlds of flavor” and indeed her recipes redefine the dumpling. With information on the elements of a great dumpling, stunning photography, and detailed instructions for folding and cooking dumplings, this cookbook is a jumping-off point for creating your own galaxy of flavors.